A hot summer day, sitting with friends under an old pecan tree that spreads its branches to shelter you and offer you deep shade while a balmy breeze blows gently against your face. Turkey fig trees heavy with fruit, wild dewberries , blackberries, scuppernongs and elderberries are growing in abundance. 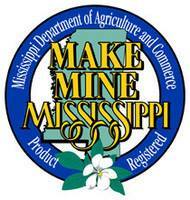 This is Mississippi...to us, our Garden of Eden...to us, our Land of Milk & Honey. It's here that our lovely soap is made. Quality ingredients such as olive oil, as well as oils of coconut, sunflower, castor, apricot along with unrefined shea butter, and Palm become our base. Addition of Goat Milk, Vitamin E and wild tussah silk are in every batch. In some soaps we also incorporate pomegranate juice, yogurt and Vegetable Glycerin. All these become the building blocks we use to make our Premium Handmade Soap with Goat Milk. We do not use soybean oil , canola oil or lard. We believe that once you try it, you'll be delighted with our Soap & Lotion and how it feels to your skin.